My most heartfelt and sincere condolences to you, Margareta, and the entire Romanian Royal Family. King Michael I was one of a kind, a source of strength to his people. His resilience in the face of adversity and his steadfast conviction are a source of inspiration to us all. 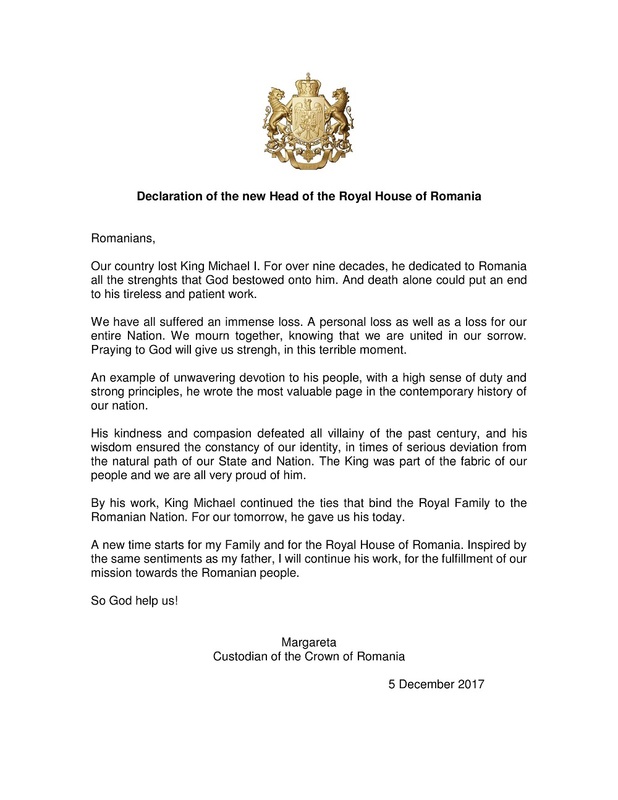 May His Majesty King Michael I Rest in Peace. May the aspirations of Princess Margareta and Romania come to fruition. May the people live in happiness and peace..